While it’s still Spring Training, tomorrow’s March 7th match up has all the potential to be a playoff game… well, at least the first four or five inning or so. Jacob deGrom will take the mound for the Orange & Blue and is 1-1 this spring with five strikeouts and a 2.25 ERA in 4.0 innings pitched. Strasburg is 1-0 this spring with two strikeouts in two innings pitched. He’s yet to give up a run. 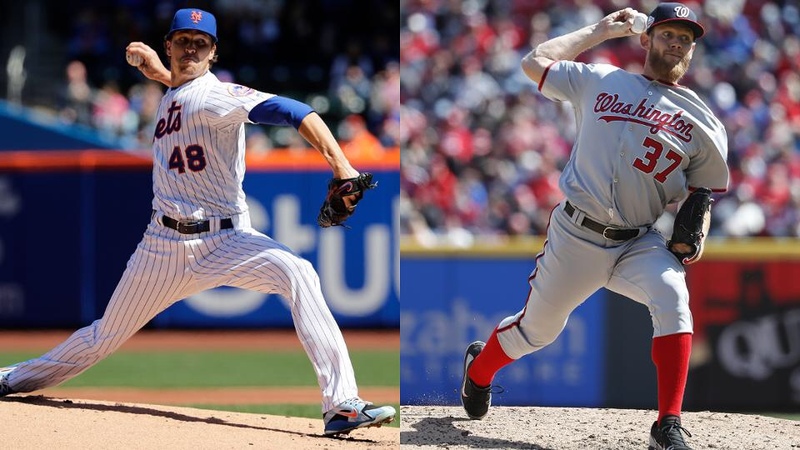 I’m guessing that both of these top tier pitchers will pitch three innings, deGrom maybe getting a fourth, depending on pitch count of course.